Dominik Richter is not a chef, a gourmand, or a food snob. It’s a Tuesday in March, and the 32-year-old in a hoodie has chosen to lunch at a kale-and-juice joint that could easily make you think you’re in Los Angeles, except it’s in Berlin. But rather than opine over the lactose-free yogurt dressing on the Super Green Detox salad, Richter is stabbing his pumpkin seeds and lettuce as if to establish dominance over the leafy prey. It’s tough to discern whether Richter, the co-founder and CEO of HelloFresh–known for delivering the ingredients for Instagram-perfect home-cooked meals like Argentinian-Style Cod With Almond Herb Chimichurri and Chicken Thighs in Kimchi Sauce With Asian Pear Slaw, and now the No. 1 meal-kit company on the planet–actually derives any gustatory pleasure from food. “We’re in the business of creating meal solutions for different meal occasions,” he explains, perhaps thinking I’d never before heard of the concept called dinner. Around the time Samwer decided to activate Richter on his latest venture–then under the name Jade 1314–the almost-­billionaire was feeling restless. During the prior four years, he and his brothers had amassed a fortune by copycatting overseas startups, building and selling European versions of eBay, YouTube, Groupon, Facebook, and more. Rocket Internet, their four-year-old flagship company, was a veritable clone incubator, having staffed and funded more than two dozen startups. (See below.) Yet even as his net worth swelled, Samwer was no longer content to just plunder market share from the innovators. He wanted to own entire categories. A new category Samwer wanted to test–and dominate–was meal kits. A Swedish startup called Linas Matkasse sold preportioned groceries with corresponding recipe cards that arrived weekly through the mail. In Sweden, the concept had proved extremely popular, and the company was on track to generate $45 million in revenue in its fourth year in business. Once Richter was on board with the Linas Matkasse copycat, he assembled his team, recruiting Thomas Griesel and Jessica Nilsson to be co-founders. It was the trio’s job to find out if meal kits would take off in the rest of the world–and, if so, to seize that before anyone else did. Jade 1314–eventually named HelloFresh–launched from Berlin in October 2011. The meal-kit venture was a small bet for Rocket. But for Richter, it was an opportunity to fulfill a vision of himself he’d nurtured since college: He wanted to be a startup founder. Over the years, he’d made attempts–there was his idea for an Airbnb-type site geared to university students, and the plan for a campus-based food-delivery service. More recently, he and Griesel, also an MBA and a champion miler and steeplechase runner, had been pitching a daily fantasy-sports betting site for professional soccer. But they’d been unable to persuade investors to buy into their dreams. Now Richter had a backer, and better yet, a potentially massive opportunity. If meal kits turned out to be more than a Scandinavian anomaly, they’d be able to disrupt one of the biggest industries in the world: the grocery supply chain. Richter and the Swedes weren’t alone in this ambition for long. HelloFresh’s two most formidable competitors, Blue Apron and Plated, emerged within months of its launch, and soon the industry had grown into a full-blown battle royale. Over the next six years, venture capitalists dumped more than $1 billion into funding over 100 competing startups that offered some variation of the following: For between $60 and $180 a week, consumers could receive at their doorstep a deconstructed meal in a cardboard box–pre­measured groceries, step-by-step recipe instructions, and the almost-realized fantasy of a home-cooked meal. But then, as quickly as the category mushroomed, it began to fall apart. “There aren’t a lot of people looking at funding meal-kit companies anymore,” says Ellie Wheeler, a partner at Greycroft and an investor in Plated, which sold to Albert­sons for an estimated $200 million in September. “It’s a tough ride to still be invested in one of those.” VCs are now abandoning the category, also-rans are getting snapped up, and Blue Apron, the one-time leader, now limps along, sales declining, its stock down 70 percent from its 2017 initial public offering. Yet soaring high above this fray, seemingly unscathed, is HelloFresh. The German upstart posted global sales growth of more than 50 percent last year and expects sales to increase another 30 percent in coming months, as it pushes past $1.3 billion in global annual revenue. 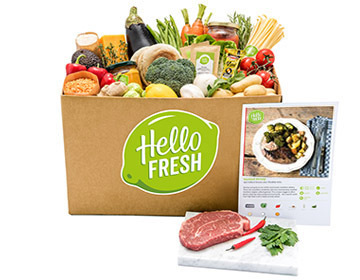 This year, after lagging far behind Blue Apron in the U.S. for most of its entire history, HelloFresh caught up and overtook it, making it the No. 1 meal-kit company in America as well as the rest of the world. The company went public in November 2017 in Germany, and as of presstime, is worth more than $2.3 billion. So how has HelloFresh managed to defy the fate of its competitors? Richter explains the startup’s strategy as he would one of its recipes: His team finds the target customer, busy families (by examining data); fine-tunes the efficiency of the marketing efforts (by collecting lots of data); improves the quality of the recipes (using insights drawn from, yep, more data); expands the range of the offerings to cater to even more customer segments (thanks to even more insights and even more data). But in reality, HelloFresh’s history is far more complicated than his just-add-data-and-stir formula. It involves hundreds of millions of venture capital dollars, aggressive marketing tactics, health department complaints, threats of violence, hard drugs, dumb money, and, at its center, founders who have been so relentlessly focused on growth, they’ve barely stopped to consider what happens when they actually win. Inside the defunct wholesale bakery in Berlin that now houses HelloFresh’s headquarters, the decor is hardly subtle in reminding you that, yes, this is a fresh-food company. Farmers’ market-style, green-and-white striped awnings shelter rows of computer monitors. Farmhouse tables are a folksy contrast to the industrial concrete floors, while stacks of empty cardboard HelloFresh boxes–looking like they might at any minute be loaded up with mahi-mahi and shipped off–double as makeshift walls throughout the open office. The co-founders’ office is set apart from all this charm. Lofted in the back, inside a sparse, glass-walled conference room, are Richter and Griesel, silently pecking at their laptops, in mission control. Up until then, Richter and Griesel, the company’s COO, were doing what they had been recruited to do: act as “execution machines,” as former employees have described them. They had managed to hatch HelloFresh at stunning speed, shipping its first box within three months, and shortly there­after sending advance teams to Paris, London, Amsterdam, and Sydney to launch, simultaneously. By the summer of 2012, as word got out of the coming launch of Blue Apron and Plated in the U.S., the founders decided they needed to open an office in New York City, too–and sent Schmincke. Following the Rocket playbook, the advance teams were typically made up of other young generalists, often former bankers and consultants, or Rocket’s own entrepreneurs-in-residence. To gin up enthusiastic press, these outposts sometimes cast a photogenic local employee as a co-founder. In the U.K., Patrick Drake, an English friend of Richter’s, appeared on a BBC broadcast as HelloFresh’s co-founder and “head chef.” (Drake had previously been a lawyer at Goldman Sachs and never worked full time in a kitchen or restaurant.) When the service arrived in Pittsburgh, the Post-Gazettereported that Marushka Bland, a young mergers and acquisitions lawyer who had gone to culinary school, “helped co-found HelloFresh.” In reality, she’d been hired as an intern, although by then she had the title chief brand officer. “They had a pretty relaxed view of what founder meant,” says Bland, who left the company in May 2013, after being in that post for three months. Employees within the Rocket system were swapped out like tires on a Formula 1 racecar. Nine months into the job, Schmincke himself ran into a visa issue; he was dismissed as CEO of U.S. HelloFresh and replaced by a British Rocket executive who had recently joined from UBS. Meanwhile, in Germany, Richter and Griesel oversaw the local sales effort. (Nilsson, their third co-founder, left in 2014.) Believing their best potential customers were busy white-collar professionals, the teams packed bags with prepared HelloFresh food and headed for office buildings, talking their way past security. Once they got upstairs, they’d find a break room, unpack their wares, and start pitching. Richter and Griesel pushed their staff to beat the previous week’s result, and then beat it again. They had to prove there was demand for meal kits–that HelloFresh was primed for the kind of wildfire growth venture capitalists loved. “We were burning the cash. Everything that was in our pockets, we were burning,” says Vincent Thuilot, who helped start the French unit of HelloFresh. When HelloFresh France struggled and was shut down later in the year (unionized truckers increased shipping costs, and many of the customers quit during August, when much of the nation goes on vacation), Thuilot was named HelloFresh’s head of business intelligence. By 2014, Richter and Griesel were trapped between their investors’ ambitious expectations and the meager economics of meal kits. Shipping fresh groceries was expensive, requiring refrigerated warehouses, hundreds of laborers to pack boxes, and insulated containers. From 2012 until 2014, the company’s cost of goods and fulfillment expenses made up 81 percent of annual revenue, leaving little behind to cover overhead or other costs. Then there was the price tag for finding customers. The spawning of the meal-kit category was fueled, in large part, by VCs rushing to bring subscriptions to all kinds of product categories. It began with software, but soon there were shoes (ShoeDazzle), cosmetics (Birchbox), dog toys (BarkBox)–the list went on. Investors liked subscriptions because they appeared predictive: They could input certain assumptions–customer acquisition costs, margins, the number of subscribers who would likely quit over time–and then model their return on investment. Within this framework, all marketing expenses, from social media ads to direct mail to salespeople stalking people on street corners, were the price of buying customers. And in its first three years of business, HelloFresh went on a customer shopping spree–$2.3 million, and then $5.9 million, and then $30 million on marketing–more than a third of its revenue each year. Now the company was running out of cash, and its three biggest investors, including Rocket, were unwilling to pony up more money. In 2014, HelloFresh’s next two largest investors, Holtzbrinck and Kinnevik, bailed on the company, trading and selling their shares. Richter and Griesel decided to go for broke, pouring their remaining funds into growth marketing. Then, with months of runway remaining, they flew to America to woo new investors. In conversation, Richter can sometimes sound like he learned to speak English by listening to corporate earnings announcements. He’s vague about specifics but fluent in financial models and jargon, which hardly worked against him when pitching American investors, to whom he presented HelloFresh as nothing short of transformational. HelloFresh, he told them, cut out distributors, wholesalers, and nearly all food waste in the multitrillion-dollar global grocery supply chain. Sure, there were steep upfront marketing costs, but the cash flow from subscribers would eventually flood back in. With the new valuation, Rocket’s Samwer suddenly had renewed interest in HelloFresh. 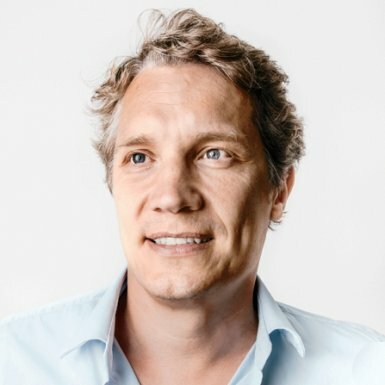 (Samwer declined to talk to Inc.) In February 2015, less than a year after the Insight Venture investment, Rocket led a $124 million round, valuing HelloFresh at over $700 million. After he’d let Rocket’s holdings dwindle, Samwer once again owned more than 50 percent of HelloFresh. But Blue Apron still dominated the U.S. with about 70 percent of the market, and HelloFresh was fighting over distant second place with Plated. In March, Samwer sent Rocket’s new COO, a former McKinsey consultant named Adrian Frenzel, along with Griesel, with plans to fix HelloFresh. Flush with venture capital, HelloFresh’s U.S. ops team hustled to go national. By early 2015, they had leased fulfillment centers in Texas and California, enabling the company to ship meals anywhere in the lower 48 states within two days. They had also leased a 35,500-square-foot raw warehouse in Linden, New Jersey. It was their first time setting up and operating a warehouse all on their own. For the team of operations managers, this was an exciting step. The managers were running a tight-knit group: Many were in their 20s, had graduated from elite colleges like Princeton and Northwestern, and were working their first jobs building a business from scratch. “It was ungodly amounts of work, but we were motivated by a vision that we were going to write the playbook for how you ship these crazy meal kits,” says one of the managers. After they signed the Linden lease, the team set up the new operation over the 2014 Christmas holiday. The next two months were grueling–installing equipment and assembly lines, and hiring a new staff, all while shipping thousands of meal kits every week. In March, Griesel and Frenzel arrived from Berlin to tour the warehouse and assess the team’s progress. “We were happy, thinking they’re going to be excited–because we’ve done it all so fast,” says another manager. Meanwhile, Richter was setting ever higher sales targets. Over the next few months, the number of orders coming through Linden doubled. The warehouse perpetually needed more workers, but Richter and Griesel, concerned about costs, refused to increase hourly pay. Instead, HelloFresh hired staffing firms just to keep the 150 minimum-wage temps it needed on the line every day. “It was the bottom of the barrel,” one of the warehouse managers says of the staff, which included some who had been incarcerated or had drug problems. By early June 2015, five of the American ops managers, including the chief operating officer, had quit. “It was hard to see the vision anymore,” the first manager says. Frenzel stepped in and took over the COO’s duties full time. He hired a new warehouse manager, a former Navy supply officer who shared his top-down approach. He also put a recent hire from Berlin, a former management consultant, in charge of procurement. Morale plummeted. Order at the facility began to unravel, creating a sense of lawlessness. “It was a free-for-all,” says one former employee. “People would come to work late and high, or go into the bathroom and hide their beer in the ceiling, and drink in the bathroom,” says the former employee. In the summer of 2015, staff used drugs and drank alcohol in the open, according to three employees who witnessed these activities or found empty bottles and drug paraphernalia on the premises. Conditions continued to worsen. After the warehouse’s two bathrooms were vandalized, management padlocked the doors, and the warehouse staff was told to use outdoor Porta-Pottys, according to a Linden health inspector’s report. This, along with a report of bedbugs in the office area, led to a complaint to the local health department, which sent the inspector to the facility. In August, a health department official met with Frenzel and Griesel and ordered them to rectify the bathroom situation. Richter and Griesel shared none of this with their investors–despite the fact they were in the middle of raising another round of venture capital at their biggest valuation yet. The crux of their pitch: the company’s ambitious plans to take over the U.S. market. A customer in the Netherlands wrote a profanity-laced Medium post railing against the hyper-aggressive tactics of the startup, comparing it to some combination of stalker ex-boyfriend, religious proselytizer, and mobster. In September, two months after the repeated health department complaints and Linden police reports, HelloFresh successfully closed an $85 million round, led by Baillie Gifford, which valued HelloFresh at $2.9 billion, more than four times its valuation just seven months earlier. One month later, HelloFresh’s board took a further step, approving a plan to buy back shares from Richter, Griesel, and other early employees in a deal that collectively netted the two founders over $10 million. The founders, who together own more than six million shares and hold nearly eight million call options, were already on to the next phase of their plan: an IPO. HelloFresh, in its assertive way, was attempting to address what has emerged as a fundamental problem with the meal-kit business: People quit. Why? Perhaps the novelty wears off, or there’s guilt about all the wasteful packaging, or simply because they are too lazy to cook a gourmet meal every night. Whatever the reasons, it turns out the majority of customers ditch their HelloFresh subscriptions after receiving only a few boxes. The idea that these subscriptions would generate enough cash to cover the sizable marketing cost was wishful financial modeling. “It required a leap of faith,” says Ellie Wheeler of Greycroft. But now, as HelloFresh and Blue Apron pass their sixth birthdays, they know what the quit rates (also known as churn rates) really are. While neither company discloses figures, third parties including Dan McCarthy, an Emory assistant professor of marketing, and Second Measure, a research firm that analyzes pools of credit card data, have examined the companies’ data. Their findings, which largely match up, paint a grim picture: Nearly half of subscribers of both services cancel within a month. Just 20 percent stay on as long as six months. By the end of the year, meal-kit companies are lucky if they’ve retained 15 percent of their original subscriber base, and the numbers dwindle from there. What’s more, HelloFresh lags Blue Apron and other competitors in retention, often by several percentage points. The value of a subscriber is likely to be much lower than anyone thought. Richter says this analysis is false on multiple levels, but won’t disclose retention figures or churn rates. “Retention is one of the strongest points of our business model. We’ve always been very, very happy with retention rates,” he says. 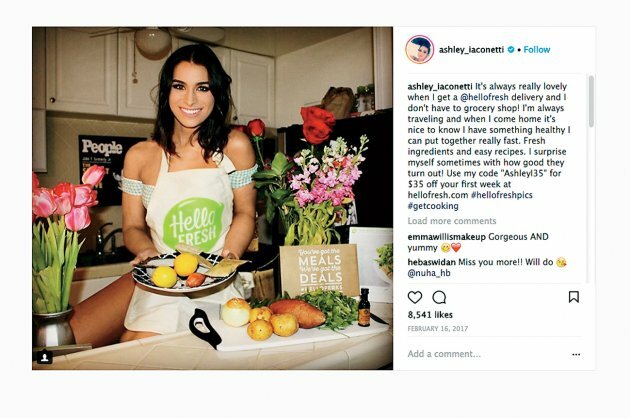 When Inc. asked to connect with HelloFresh’s longest-standing customers, the best the company could provide was a woman who had been featured in a company TV ad, and another who’d been with the service for five months. “Without marketing, the business is dead,” says Eugene Auh of Oakchun Advisors, referring to the constant need to replenish the ranks of quitting customers with fresh subscribers. In 2016, Auh was hired to analyze the meal-kit business for a conglomerate interested in potential acquisitions. Auh eventually told his client to steer clear of the industry. Revenue growth comes “at an astounding cost,” he says. In the past few years, the company has made upgrades to its operations. Richter finally began hiring executives with experience, like Tobias Hartmann, its new U.S. CEO, who previously ran eBay Enterprise and Innotrac. The New Jersey warehouse–now in Newark–has raised wages to over $13 an hour. And the company’s margin (excluding marketing) has increased from 17 to 23 percent. On November 1, 2017, HelloFresh had a successful IPO on the Frankfurt stock exchange, raising more than $330 million at a valuation of $1.9 billion. Since then, shares have increased and sales have continued to rise. Still, HelloFresh has a ways to go when it comes to improving the climate in its New Jersey operation. Two former employees, a night shift security guard and a custodian, said they witnessed evidence of hard drug use, including heroin and crack, at the end of 2016. “You’d see people getting high in the locker room,” says the security guard. “It was a party.” In January 2018, police were called to the Newark warehouse after an employee uploaded a photo to social media of himself holding a .40-caliber Beretta with the caption “I will pop a n***a at work LOL.” Police found the gun in his HelloFresh locker. Meanwhile, even as HelloFresh has made great strides in improving customer satisfaction–it’s added customizable menus, delivery day options, vegetarian meal plans–overall retention rates haven’t budged, acknowledge Griesel and Richter. People may be happier, but they quit just as often. The company’s investors argue that HelloFresh’s financials will improve as the category matures. Earlier this year, following fulfillment troubles and other problems, Blue Apron cut back its marketing spending 35 percent as sales fell 20 percent, leaving the door open for HelloFresh. To surge past the incumbent, HelloFresh is still spending aggressively on marketing in the U.S. Meanwhile, the industry is consolidating: In 2017, supermarket chain Albertsons acquired Plated. In March, HelloFresh bought Green Chef, a Denver-based meal-kit company that specializes in organic food. In May, supermarket giant Kroger announced that it planned to buy Home Chef, another meal-kit company. HelloFresh is also starting to move its business beyond subscriptions. There are many new code names flying around the office these days–“Ginger,” “Caviar,” “Happy Hour.” In May, the company began testing selling meal kits in nearly 600 U.S. Stop & Shops and Giant Food supermarkets. It’s also experimenting with prepared-food vending machines in Europe. And HelloFresh has made Samwer’s dreams come true in at least two respects: It’s now the No. 1 company in its category in every country where it operates. And HelloFresh is valued at almost twice its annual revenue–a multiple that is more than twice that of Blue Apron or Home Chef, and approximately six times that of Green Chef, the company it acquired. By the end of 2017, Rocket’s stake in the company was worth nearly $980 million, a gain from its overall investment. (In April, the company sold $184 million worth of that stake.) As of HelloFresh’s IPO, the co-founders’ own shares have a current value of more than $195 million, based on HelloFresh’s share price at presstime. Thirty-eight current and former members of management, co-founders, and other holders together own options worth over $58 million. Baillie Gifford’s stake, meanwhile, is down 23 percent. And, of course, HelloFresh itself has yet to turn a profit. Back at the Berlin café, as Richter and I finish our salads, I ask him how the company plans to become profitable by the end of the year–he’s promised as much to the public markets. He locks eyes with me and gets an edge in his voice. “We have a lot of experience with starting markets and then basically driving them to profitability over time,” he says. The company has never publicly detailed any profitable operation, either globally or in individual markets. “We’re in over 10 markets right now, and a bunch of markets are already profitable,” he says, but won’t specify which ones. “Basically, over the course of the year, almost all of the markets will have turned profitable. Hence, we will also be profitable.” As he talks, he keeps holding my eyes until I blink and look away. But he doesn’t elaborate further. Richter has the tunnel vision of an athlete, who–like his original benefactor–is willing to accept only one outcome: winning. His early investors doubted HelloFresh had a future, so Richter found new ones–and then got the original to invest millions of dollars more. Now, Richter, sitting with a reporter at lunch, is setting down the truth of his company the way he sees it, regardless of how the crude math works. During his time as an entrepreneur, the world has submitted to his will, and he will do everything in his power to ensure it continues to do so. At 2 o’clock sharp, he excuses himself. “I actually have another appointment,” he says. A few minutes later, back at the office, I walk by and notice he’s upstairs, sitting alone in his glass box, typing intently on his laptop. With a portfolio of some 30 successful startups, Rocket’s copycat strategy in emerging markets is paying off. Rocket develops HelloFresh, which it started at the end of 2011, and invests in African-based online marketplace Jumia. It also accumulates more than $1 billion from J.P.Morgan and Swedish investment company Kinnevik. Two of Rocket’s four managing directors, who had left during the past year, start a Rocket competitor, called Project A.
Rocket’s portfolio boasts 75 companies in over 50 countries–spanning from fashion to laundry to freight transport–projecting a combined revenue of $3 billion, and 200 to 250 companies by 2018. Rocket also starts shuttering its weaker early-stage ventures. Home24, an online furniture store positioned as an Ikea disrupter, lays off all of its employees in Southeast Asia. The company raises $2.1 billion in an IPO, appealing to investors who want in on Latin America, Africa, India, and Southeast Asia. But within minutes of going public, Rocket’s shares tumble by 14 percent, and they continue to fall amid concerns over losses and Rocket’s practice of overvaluing investments. Rocket announces plans to double down on its food and grocery businesses. Rocket’s revenue drops by 60 percent, from $139 million to $55 million. One of its biggest portfolio companies, Global Fashion Group–an online storefront for fashion sites–suffers huge losses and sees its value slashed. Shareholders lose confidence in Rocket’s strategy as its portfolio companies continue to flounder, but the company maintains its will to make three of its startups profitable by the end of 2017. Several of Rocket’s portfolio companies have folded, and its most successful companies are still accumulating losses. Longtime Rocket investor Kinnevik sells its stake, and Rocket’s shares and revenue fall. HelloFresh and Delivery Hero go public, but both are still unprofitable. Rocket reiterates its intention to “invest in lower-risk business models” and break even. Rocket’s portfolio is half the size it had projected for 2018, and the company is still operating at a loss. Now, Rocket says, it’s redirecting its $3 billion war chest to fintech and A.I.